Here at Bathroom Traders we pride ourselves on our specialist knowledge of the bathroom furnishing industry. As part of a private retailing company established in 1968, we have a proven track record for providing first class customer service and unbeatable value for money. Based in the East Midlands (only minutes away from Derby City Centre), Bathroom Traders are ideally situated for customers who would prefer to visit our newly refurbished 6,000 sq ft showroom either before or instead of buying on-line. Our on-site warehouse means we can deliver your bathroom products from stock. The majority of items on display in our showroom are also available to purchase and take home straight away. We understand the potential headache of getting large products delivered. With this in mind we have devised a Door2Door delivery system. This industry leading unique system enables us to give you a better service at a better cost – giving us an edge over the competition. From baths, showers, toilets and sinks, to toilet seats, taps and mirrors, Bathroom Traders have everything you need to transform your bathroom and make it spectacular. 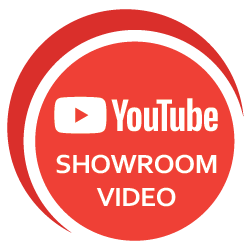 Whether you prefer to buy on-line or visit our showroom to make your purchase we can help you complete your dream bathroom on time and on budget.